Research by property advisors, Colliers International says activity in the London office market is increasingly being focussed at the smaller end of the market. This market shift will mean downward pressure on lease lengths, with Colliers International predicting that average lease lengths will fall to 5.5 years during the course of 2018. Across London, in 2018 to date, sub 5,000 sq ft transactions represented 78 per cent of the total deals by number. This figure is up from 69 per cent in 2015 and represents the third year in succession that the numbers have risen as tech start-ups and scale-ups continue to grow and focus their activity on the London market. “London is firmly established in the top three of global tech hubs and venture capital continues to help drive the evolution of the next wave of start-ups, as well as facilitating the proliferation of scale-ups, creating demand and acting as an engine for absorption of office space,” explains Guy Grantham, director, research and forecasting at Colliers International. “We are seeing demand for flexible office space under 5,000 sq ft approaching an all-time high. An office of this size embraces start-ups, scale-ups and maturing occupiers, many of whom have dipped their toes in the serviced offices water, only to decide that conventional office space offers more concrete branding opportunities and sends a more sophisticated message to potential clients,” Stuart Melrose, director and head of occupier advisory, London offices at Colliers International adds. Much of the growth in small office market has been driven by demand for sub 2,500 sq ft units which at 57 per cent, has reached its highest level since 2012, emphasising the growth in activity amongst start-ups and smaller established firms. This trend is particularly evident in Shoreditch, Soho and Paddington. All of this growth, in demand for smaller units, flies in the face of anecdotal evidence that the flexible office market in London, which grew by 19 per cent in 2015, 12 per cent in 2016 and close to 20 per cent in 2017*, is draining the conventional office market of ‘new blood’. 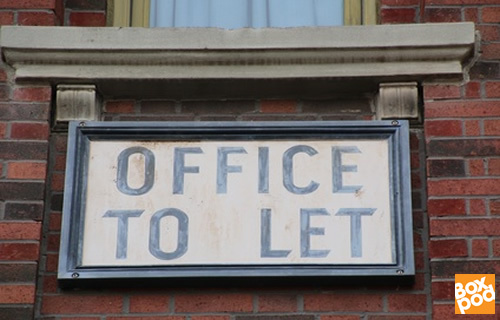 “We are witnessing a structural change in the occupation of office space which is being driven by the appetite for shorter lease lengths and demand for flexibility. This is pushing more and more occupiers, particularly those with weaker covenants such as start ups, and those wishing to avoid excessive capital outlay, toward a more flexible office product. “The appetite for flexible office product is also at an all-time high which is engendering an appropriate response from conventional landlords, many of whom are currently on a charm offensive that it is here to stay. This is set to create a yet more conducive environment for smaller occupiers in terms of availability of product and occupational flexibility,” said Melrose. An example of convention landlords adapting to this new occupational environment include British Land (Storey); Brockton Capital (Fora); Carlyle (Uncommon); HB Reavis (Hubhub) and the Crown Estate, which are offering, or set to offer, a flexible product within conventional office hubs. They are also adopting a more flexible leasing approach, in terms of both length and incentive packages. “While a hub of activity is great news for existing stock, this downward pressure on lease lengths could prove problematic for prime new development stock for which landlords/developers typically require minimum 10-year commitments, and could be a contributing factor to the dearth of new development in the City core,” concludes Grantham.